US Army MWR :: View Event :: EFMP: Kids Cooking Class! Date: Mar 20 2019, 11 a.m. - 12:30 p.m. Attention EFMP Families! This fun event is for you! 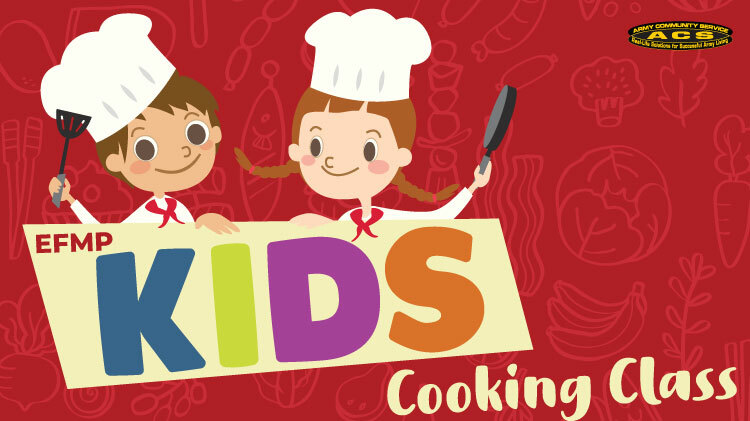 Join the Exceptional Family Member Program for a Kids Cooking Class! Children will learn how to prepare an easy tasty meal. The first twelve children who are registered will recieve a FREE cookbook! *Particiapants must have a family member enrolled in EFMP. Open to ages 10+, must be accompanied by an adult.